Speakers Corner, which made its IFSEC debut during the security show’s 2018 edition, saw exhibitors present their latest innovations in CCTV, access control, intrusion detection, manned guarding and more. We sent a reporter down to the new feature to check out the innovations showcased on day one of the show. 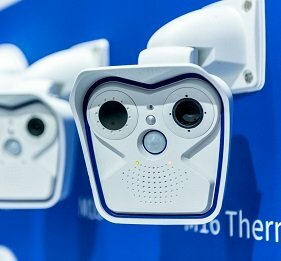 Summary: Portfolio of 2 megapixel monochrome surveillance cameras and SaaS based camera management system. Key Features: All four devices in the new Puma Camera range use a Machine Vision 2 megapixel monochrome camera module designed to operate in different lighting conditions and times of the day. The Puma is fitted with a 7-22mm remote control lens and pulsed infra red circuit for high power lighting with minimum energy consumption which can provide ANPR at distances up to 25m, with the Puma Plus adding a ruggedised all in one case design. The Puma 50 uses a 2-50mm lens capable of ANPR at 50m, with the Puma Plus 50 adding a ruggedised, all in one case design. 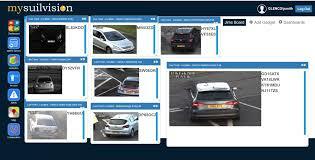 Suilvision also released mysuilvision, an ANPR management system hosted in the company’s own secure server rooms with emergency battery failover and fibre broadband connectivity. Customers can access the system through a web portal to add sites, build camera networks, view live images/historical footage and generate customised reports. All customers buying or leasing Suilvision products and services have the option of paying for a full system build design, testing and installation service covering single or multiple sites to each customer, as well as project management services for those that want to use their own contractors. Pricing: Puma Camera POA, mysuilvision available as a monthly SaaS subscription for a minimal 18 month contract. Summary: Portfolio of wired/wireless alarm signalling systems available to order from November 2018. Applications: Sold exclusively through approved security installers, BT Redcare’s latest wireless alarm signalling systems have been optimised for different budgets and feature requirements in a broad range of commercial and residential environments. Key Features: The more affordable version of the new Next Generation range is Essential, a small, easy to deploy single-path system which communicates with the alarm receiving centre (ARC) using 4G mobile networks, aimed at low to medium risk sites. Advanced is a dual-path system also aimed at low to medium risk sites that combines a fixed copper or fibre broadband IP link with 4G dual-SIM mobile connectivity to provide additional signalling resilience. Advanced Extra adds faster response times and enhanced monitoring to quickly report triggers or faults to the ARC within 180 seconds, ideal for medium to high risk sites. Ultimate includes all the features of Advanced Extra but adds a virtual private network (VPN) overlay to the fixed IP connection for additional resilience and security, enhanced monitoring (90 seconds ARC response time) and a panel backup battery to ensure the system stays up and running even during a power cut. Applications: Building management systems in airports, hospitals and jails and other commercial outdoor installations, those exposed to harsh climatic conditions or regularly cleaned with high pressure equipment. Key Features: The i-Lock range includes a battery powered smart lock that is designed to be fire proof (EN1634-1 compliant to 850 degrees centrigrade), waterproof (IP68 certified) and climate resistant as well as being impervious to shock and dust. The integral electronics and battery are encased in a shock proof stainless steel compartment, with various door lock designs available in different colours, shapes and surface treatments. An integral ligature-resistant door knob can be locked in a position that prevents it from being pulled, manipulated or damaged. The Elite locking system is hidden in the door itself, with the cloud based control system accessed from a key card via WiFi protected by AES and 3DES encryption algorithms to prevent hacking. A later update  is expected to support Bluetooth and NFC based access from a smartphone app that can be used as an alternative to a key card. What is it: Rugged 6MP outdoor security camera for temporary events. Applications: MobiQam was developed as an external video surveillance camera to provide secure CCTV coverage at temporary events, such as festivals, and address problems like fly tipping at remote sites where there is no reliable power or network infrastructure. Safe Group has already supported over 100 MobiQam deployments in Belgium and is now looking for local security integrators, solution installers and distributors to drive UK sales. Key Features: The MobiQam boasts a maximum 12 day battery life based on a 3KwH unit, as well as integral USB port to store footage at resolutions of up to 6 megapixels. Where there is no reliable network to transmit images back to a central server or control site, operators can unplug the USB storage device and plug it into any PC to view the footage. Other forms of connectivity include embedded wireless 3/4G LTE and Ethernet, broadband and Power over Ethernet (PoE) ports. The MobiQam is supplied with its own video management software but the Safe Group is also working on integration with third party video management systems. The first of these to be certified will be Genetec later this year . Pricing: The MobiQam is priced at EUR6000, with the additional battery costing either EUR1000, EUR2000 or EUR3000 for capaciites designed to last either 3, 6 or 12 days. Applications: Vigilink is aimed at manned security guarding service providers that currently use manual processes or licensed, on-premise software to handle guard tracking, clocking on and off, shift summary, incident reporting, time sheets and invoices, particularly where sites with limited access to computers or telephones are involved. Launched commercially at IFSEC International 2018, Unit Security is currently in discussions with several potential customers for Vigilink. Key Features: As a manned security guarding provider itself Unit Security had a good idea of what is needed to optimise its operational costs and developed Vigilink to help. By automating basic tasks and procedures, it is estimated that Vigilink can reduce any third party providers’ opex by 10-18% depending on the size of the company and the number of security guards it employs, primarily by speeding up workflow management and eliminating hard copies of multiple documents. At the heart of Vigilink is a real time communications platform. This allows control room staff to track and monitor security guard assignment and activity through the combination of a cloud hosted back end software platform and a mobile app that can also be used to submit and process time sheets and incident reports. The developers expect that future versions of Vigilink will include artificial intelligence (AI) tools to automate other everyday tasks such as scheduling and invoices without human intervention, leading to additional opex savings. Pricing: Vigilink subscriptions cost 15p per man hour according to how many hours are logged by security guards. What is it: Readerless access control system based on smartphone app and cloud-based control application. Applications: Commercial office spaces and building management systems, particularly those with remote sites with low frequency access where security controllers do not know who is coming and do not have time to prepare and distribute cards. Spica is currently looking for UK partners, with Door Cloud sold to end users exclusively through security integrators and installers. 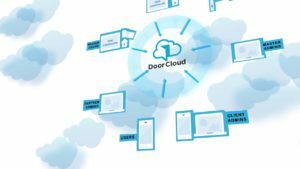 Key Features: Door Cloud is based on Spica’s own Internet of Things (IoT) access controller framework developed to support cloud-hosted access applications. The back-end software platform is hosted on Amazon Web Services (AWS) and Microsoft Azure infrastructure and supports a range of HID readers, Level 1 supervised device protocol (OSDP) devices and Aperio wireless locks. Door Cloud uses the integral identification and location tools (via GPS, WiFi, Bluetooth, NFC or beacons for example) contained in modern smartphones in parallel with existing device authentication mechanisms (finger print readers, facial recognition, pin number etc) to control door access rather than issue access cards, with no additional hardware required. The Door Cloud platform also controls card readers alongside smartphones equipped with the app. Pricing: Door Cloud offers different pricing options, including license fees based on the number of users or devices, and subscription services. What is it: 8-door controller for installers and distributors accessed by Android/iOS mobile app. Applications: Commercial office spaces, with around 100 customer deployments since the solution was first announced at IFSEC International 2017 (since which time an iOS version of the app has been added). Key Features: Simple to use solution that connects up to 8 doors and 250 key holders which is designed to cost up to 50% less than other products. 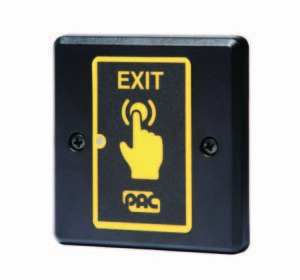 Access is controlled by a QR code downloaded to the installer/engineer/end user smartphone which connects to the door lock via Bluetooth. Security installers register their companies, engineers and customers on the PAC GDX website to keep a record of which jobs have been completed with all the data stored in the cloud for future reference. All the hardware functionality is built into inside and outside of the door to simplify installation. There are no requirements for cabling runs other than a power source. 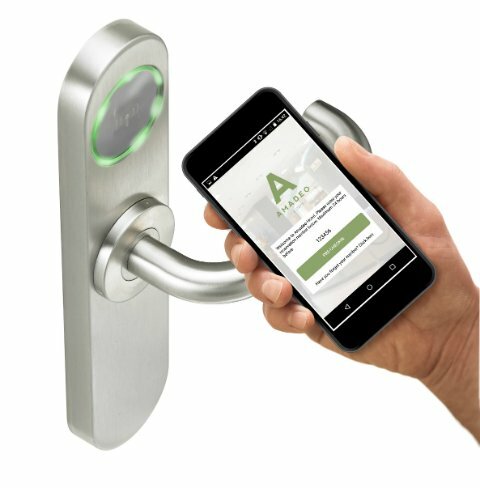 Access control management functions are built into the mobile app with installers able to process configuration, maintenance and firmware updates. Future versions of the solution will support broader integration with IoT sensors (temperature, humidity etc) for more complex building management systems. 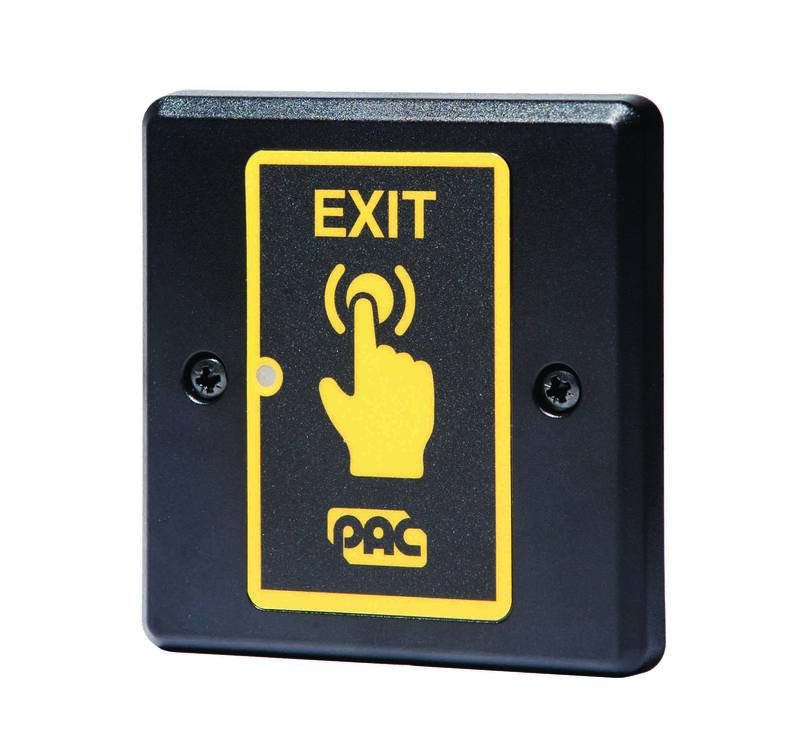 Pricing: Pricing for the PAC-8 controller is determined by the individual distributor, plus a £2 per month subscription per product for mobile app access. 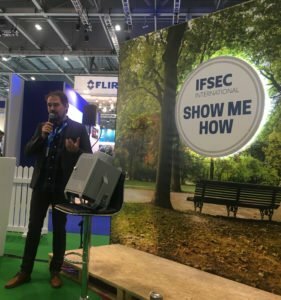 7 new security products showcased at Speakers Corner at IFSEC 2018 Speakers Corner, which made its IFSEC debut during the security show's 2018 edition, saw companies present their latest innovations in CCTV, access control, intrusion detection, manned guarding and more.